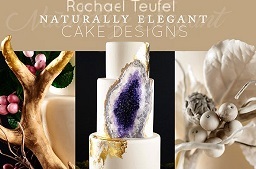 The most beautiful spring wedding cakes incorporate elements of nature and the turning of the seasons including spring blooms and rustic styling. 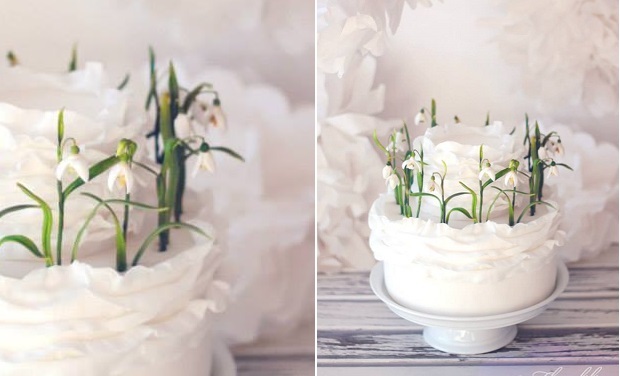 German cake designer, Martina Bliedung of Floralilie has captured the essence of early spring wonderfully in her exquisite snowdrop wedding cake above, absolutely perfect for a late winter/early spring wedding. 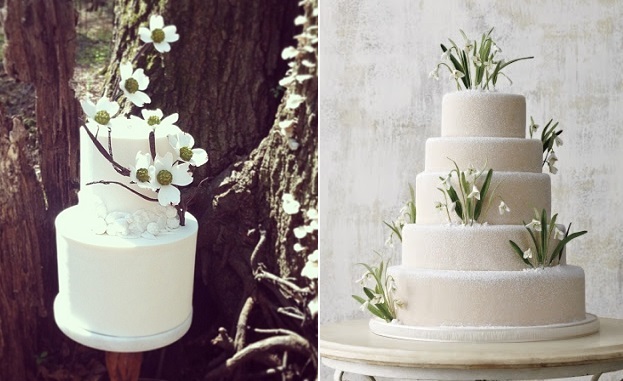 More sugarcrafted snowdrops feature in the spring woodland wedding cake design (below right, image via Pinterest), with a fabulous rustic style wedding cake by Jonathan Caleb Cake (left). 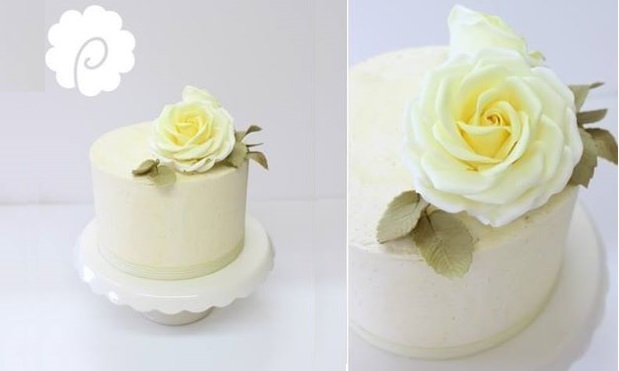 Stems & branches add a wonderful botanical touch to winter and spring wedding cakes for a rustic wedding centrepiece. 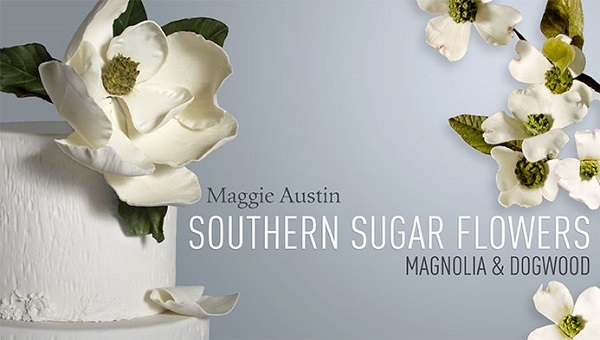 (Advert: Maggie Austin teaches how to craft a natural looking stems and branches (one of the most difficult tasks to get right in sugar floristry), as well as dogwood blossoms and the super on-trend magnolia flower below in her Southern Sugar Flowers class on Craftsy below). 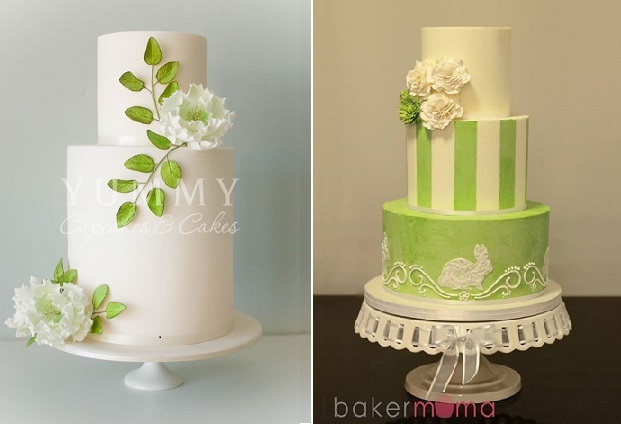 Sprigs of green and white add a classic spring touch to the two beautiful, understated cakes below by Samantha’s Cake Design (left) and Handi’s Cakes, (right). 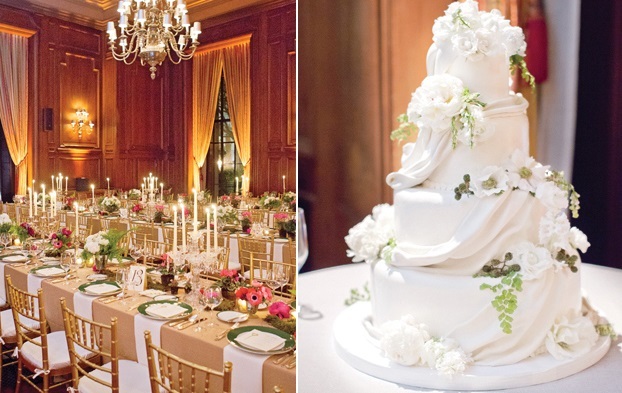 Woodland fern and trailing foliage add a fresh, natural touch to the classic white spring wedding cake design below (image by Aaron Delesie via The Knot.com. 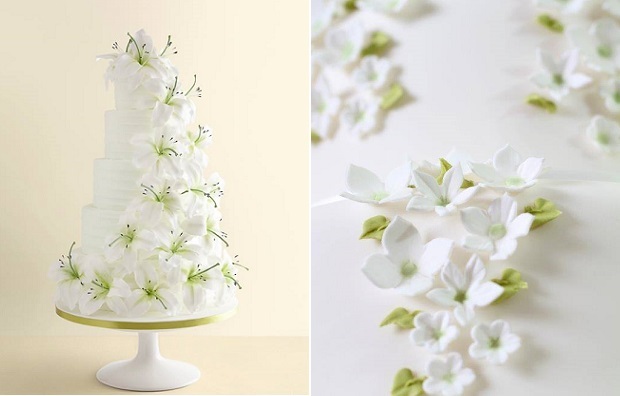 Pristine white lilles with green centres make a terrific spring display on the wedding cake (below left) by The Hummingbird Bakery. 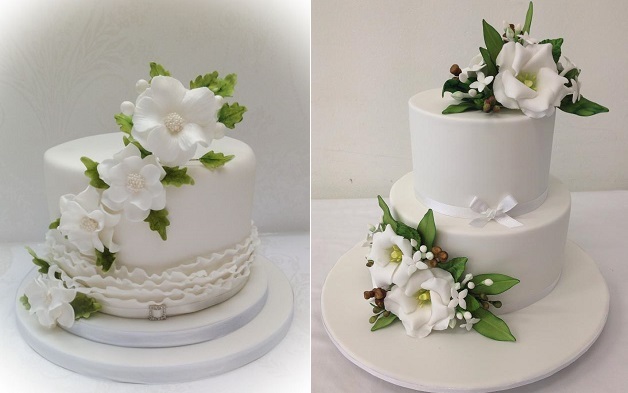 On the right, a stylish side design of trailing white blossoms and piped leaves makes an elegant spring design motif by Wedding Cakes by Judi Delaney. 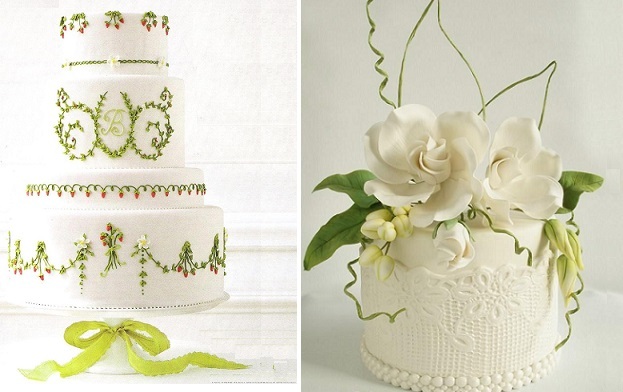 Wendy Kromer Confections’ woodland wedding cake design below left combines the elegance of piped garlands with a spring green colour palette for a unique wedding cake design (via Martha Stewart Weddings). 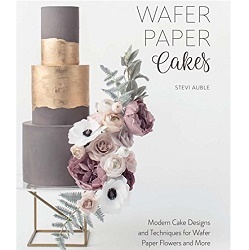 On the right, Brennie’s Cake House‘ creative use of grasses, foliage, buds and florals pairs beautifully with lace for an exquisite spring cake design. 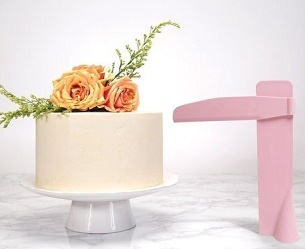 Patricia Hardjopranoto of Sydney’s Yummy Cupcakes & Cakes enhances beautiful bridal white peonies with stems of lime green foliage for a fresh and simple spring wedding cake while on the left, Thea Heussner of Bakermama has incorporated the animal world in her whimsical striped spring design, below right. 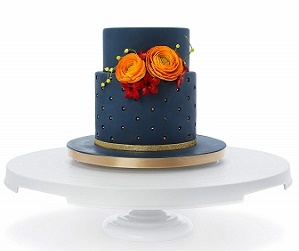 The palest of lemons makes an exquisite colour choice for a spring celebration with a divine cake from the Poppy Pickering collection below. 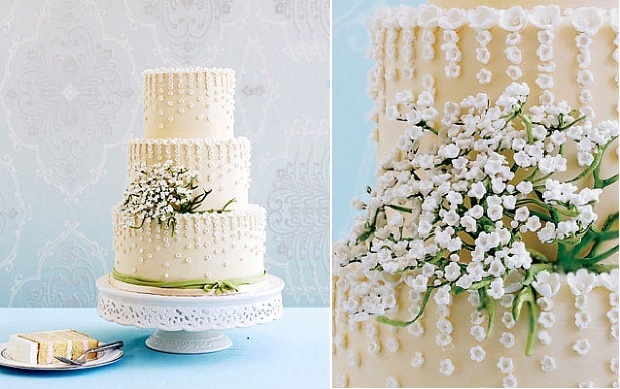 Trailing white blossoms against an ivory backdrop with a rustic bouquet and a touch of green makes a superb wedding cake design for a spring wedding below by Kate Sullivan of Cake Power. 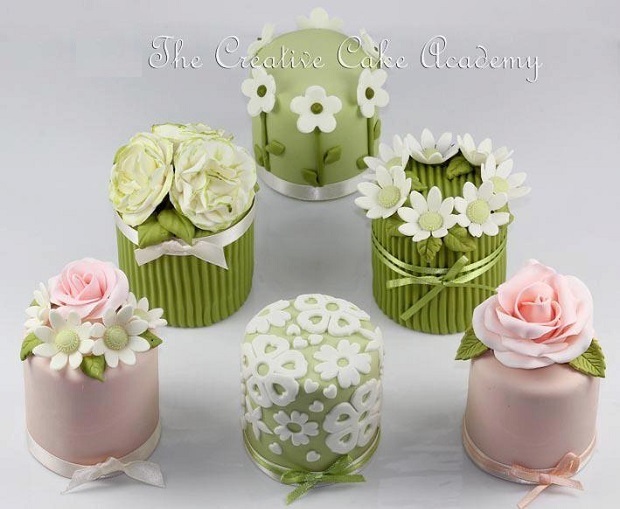 A selection of perfectly crafted miniature cakes by The Creative Cake Academy, UK features below in a delightful spring theme and matching colour palette. 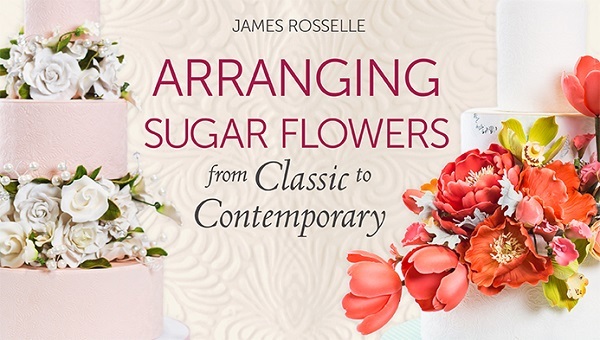 Learn the art of sugar flower arranging on Craftsy here – Arranging Sugar Flowers: From Classic to Contemporary with James Rosselle. 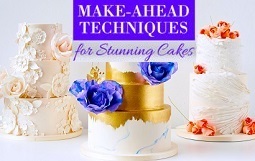 Get expert placement tips as you create classic cascades with graceful movement. 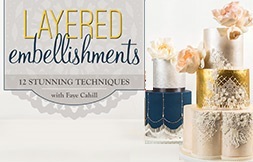 Highlight even simple tiers in sensational style using cake separators abloom with delicate flowers. 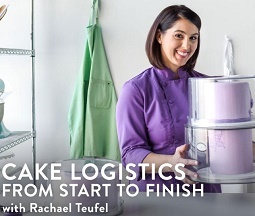 Amplify the eye-catching effect of your work with open separators that appear to defy gravity. 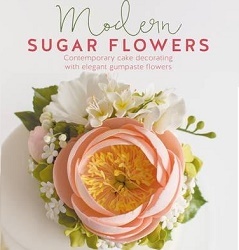 Bring trendy, rustic textures to your arrangement repertoire as you create two types of delightful pomanders. 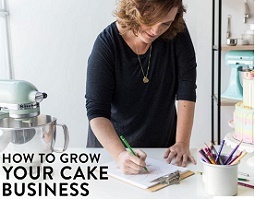 Take your designs over the top with striking arrangements of hanging hydrangeas. 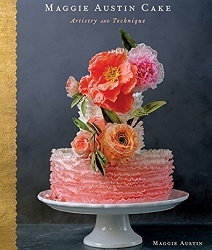 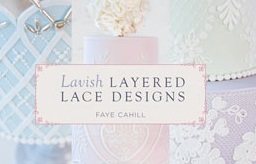 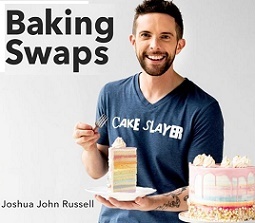 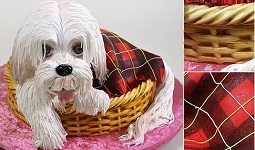 Plus, enrobe your cake in all-over floral designs as balanced as they are bold.